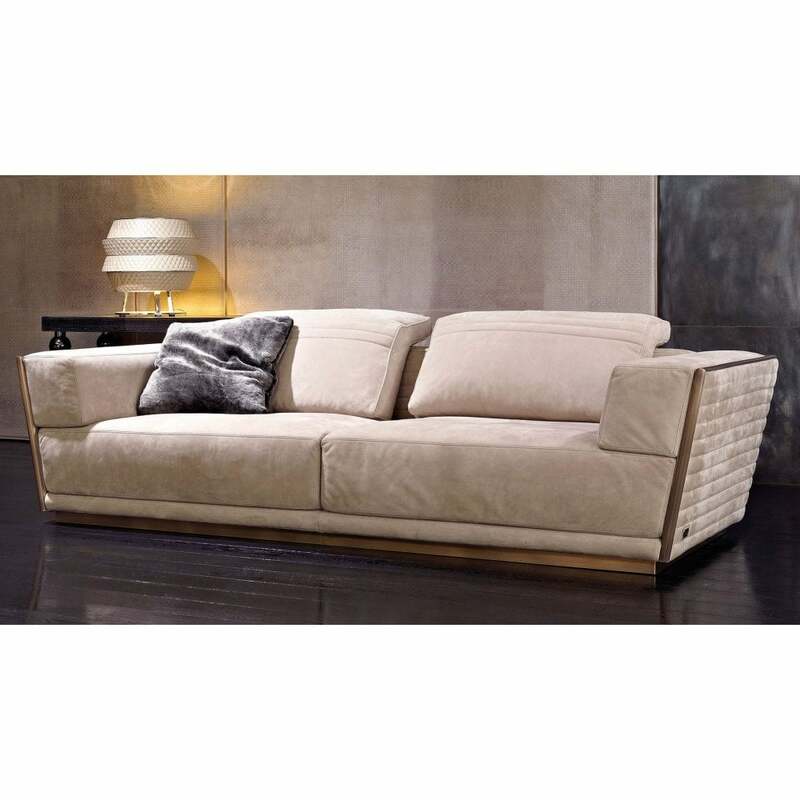 The Empire Sofa by Rugiano interiors seamlessly combines style and comfort. Drawing inspiration from the 1960’s, the mod look is synonymous with sleek Italian interiors. Designed and created in Rugiano’s Milan studios, this luxury sofa is upholstered in a range of high-quality fabrics and leathers. Empire is finished with striking bronze inlays and hand-stitched decoration forming a covetable style that would suit a variety of properties from traditional to contemporary. Available in seven variations and sizes, choose a classic three seater design or a modern chaise longue shape. Samples can be ordered upon request, make an enquiry for more information.